In the week leading up to a referendum vote by the Kurdish Regional Government’s on support for an independent Kurdish state in Iraq, neighboring countries Iran and Turkey stepped up their military presence on their respective borders to express their opposition to the separatist bid. Turkish tanks carried out drills at the Iraqi border on Monday. Government officials in Ankara called the referendum a threat to its national security. The exercises came as Turkey, the central government in Baghdad and their shared neighbor Iran all stepped up protests and warnings about the looming plebiscite in semi-autonomous Kurdish northern Iraq. A rough estimate by the CIA Factbook has Kurdish populations of 14.5 million in Turkey, 6 million in Iran, about 5 to 6 million in Iraq, and less than 2 million in Syria, which adds up to close to 28 million Kurds in Kurdistan and adjacent regions. The controversial referendum was expected to pass but KRG president Masoud Barzani says the vote is only meant to be a symbolic catalyst for negotiations rather than a call to action. The referendum has little international support with the exception of Israel. On Monday, Iranian President Hassan Rouhani said that America will pay a “high cost” if US President Donald Trump makes good on his threats to scrap the Iran nuclear deal, officially known as the Joint Comprehensive Plan of Action (JCPOA). Speaking in an exclusive interview with CNN in New York, Rouhani said: “Exiting such an agreement would carry a high cost for the United States of America, and I do not believe Americans would be willing to pay such a high cost for something that will be useless for them.” Rouhani said such an action by the Trump administration “will yield no results for the United States but at the same time it will generally decrease and cut away and chip away at international trust placed in the Unites States of America.” Talks began in 2013 between Iran and the P1+5 (China, France, Russia, UK, US plus Germany) the EU, and the agreement was implemented in January 2016. The US extended sanctions relief for Iran last week as part of the 2015 nuclear agreement, which Trump has described as “the worst deal ever.” Other signatories of the agreement oppose any movement to end the deal. Israel and the U.S. inaugurated the first American military base on Israeli soil on Monday, which will serve dozens of soldiers operating a missile defense system. The move comes at a time of growing Israeli concerns about archenemy Iran’s development of long-range missiles. Together with the U.S., Israel has developed a multilayered system of defenses against everything from long-range guided missile attacks from Iran to crude rockets fired from Lebanon and the Gaza Strip. The base’s opening is largely symbolic and isn’t expected to bring operational changes. The Israeli military says that along with other measures, it sends a message of readiness to Israel’s enemies. Saudi Arabia has allowed women into the national stadium for the first time as it launched celebrations to mark the 87th anniversary of its founding with an unprecedented array of concerts and performances. The festivities are part of a government bid to boost national pride and improve the quality of life for Saudis timed to coincide with Saturday’s national day. The events are part of the government’s Vision 2030 reform program launched two years ago to diversify the economy away from oil, create new sectors to employ young citizens and open up Saudis’ cloistered lifestyles. A growing girl scouts movement will soon receive official recognition in Syria where the program has thrived in spite of the unique challenges of operations in a war zone. Six years of vicious conflict have devastated the country and left 45% of the population displaced. But throughout, girl scouts have continued to work in government-controlled areas, running camping trips as well as sessions on citizenship and self-esteem. This week, Scouts of Syria will become an official member of the World Association of Girl Guides and Girl Scouts, while Arabic could become the organisation’s fourth official language – following English, French and Spanish. As well as playing games and singing, girls are taught about issues such as body confidence and preventing violence against women. Sessions on gender-based violence also include boy scouts. Scouts of Syria also works closely with the UN and Red Crescent to provide psycho-social support to traumatized young people. Saudi Arabia’s education minister has apologized for the production of a school textbook in which the Star Wars character Yoda is seen superimposed on a photograph of the late King Faisal. Ahmed al-Issa said a committee was looking into the “unintended mistake.” The image, which shows the diminutive Jedi Master sitting beside King Faisal as he signs the UN Charter in 1945, was created by the Saudi artist Shaweesh. 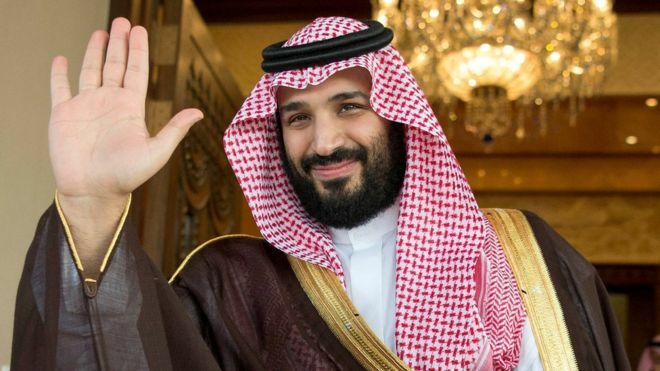 He told the BBC it was not yet clear how it had ended up in the textbook; however, he stressed that he had meant no offence to the king, who helped transform Saudi Arabia into a modern state and an actor on the world stage. A senior education official and several supervisors have since been fired and the textbooks withdrawn. Besides the photo-shopped image of Yoda, the dismissals were also prompted by other errors in various textbooks, including history, chemistry, English language and religious education.